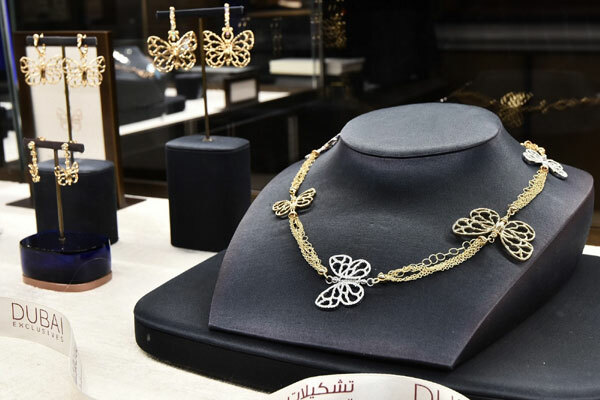 Premium luxury jewellery house Dhamani 1969 has unveiled a feminine and colourful line of light and ready-to-wear jewels, Chrysalis. The beautifully crafted unique collection, set in gold, diamonds and colourful enamel, includes earring, rings and bold necklaces in rose, yellow and white gold, and with the option of with and without diamonds. The launch was held in association with Dubai Shopping Festival (DSF), which runs until February 2. DSF is organised by the Dubai Festivals and Retail Establishment (DFRE), an agency of Dubai’s Department of Tourism and Commerce Marketing (Dubai Tourism). Specially crafted for today’s woman, Chrysalis characterises nature’s beauty, accessorising any outfit to highlight the oomph and glitz factor. With fashionable and pictorial designs, Chrysalis is a novelty in the traditionally elegant and opulent diamond jewels of Dhamani 1969. It is a collection conceived to satisfy the aspiration for beauty, femininity and self-expression of women on the rise. “We have caught this golden thread and sewed it into the form of our inspiration, unveiling the secrets of these wonderful teachers of life”, commented Amit Dhamani, CEO and managing director of Dhamani Jewels. “Chrysalis represents a very unique and innovative collection among our array. These jewels belong to a vibrant, bright and friendly woman, who has never lost the vitality of a child and the gentleness of a butterfly. As each butterfly differs from the other, with this collection we want to celebrate the individuality and unique ways each of us finds to reach our best. This individuality is what creates diversity, richness, and tolerance, echoing the words so dear to our leaders," he said.